Do two device chargers have to take turns when there's only one available outlet? No! 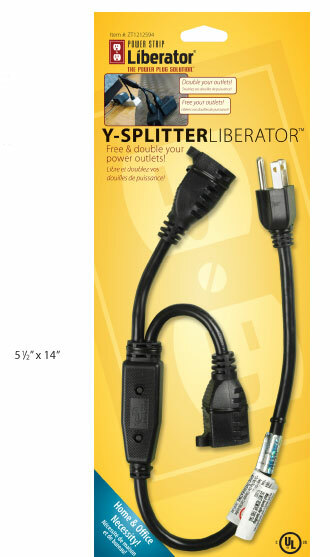 The Power Strip Liberator® Y-Splitter cord makes it possible to plug two devices into one socket. Just plug those big bulky power adapters into a Power Strip Liberator® Y-Splitter cord and then connect the Y-Splitter to the available socket. These durable outlet multipliers are built to last and meet or exceed all electrical code and UL requirements for safety.